Workplace giving is a means by which employees can make regular donations to Cancer Council Queensland through their employer’s payroll giving program. These deductions can be pre-tax, and many employers choose to match their employee’s donations too! Employers, by engaging your employees in your Corporate Social Responsibility and demonstrating your support of Cancer Council Queensland to your customers and clients. Employees, by offering a simple, tax-effective way of supporting a cause that is close to your heart. 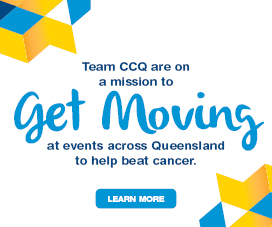 Cancer Council Queensland, by providing a low-cost, regular stream of income that helps us to continue delivering programs and services across the state that support Queenslanders affected by cancer. What impact does your workplace giving support have? a cancer patient with an information booklet on cancer or cancer treatments. a DVD on Learning to relax for a cancer patient a turban to a cancer patient who is undergoing treatment. Provide online support for patients and their families to learn more about their cancer risk, or what a diagnosis means, from the comfort of their own home transport cancer patients to and from hospital for treatment. 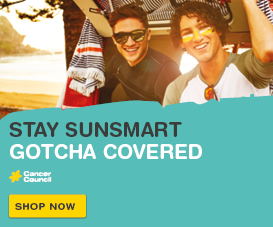 Provide a newly diagnosed cancer patient with important support and resources to help them through their cancer journey provide a cancer patient with financial advice on budgeting, superannuation, insurance and debt management. 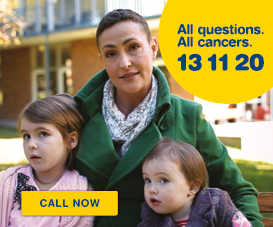 Cancer Council Queensland researchers conduct an extensive interview with a cancer patient to better understand cancer risk provide a wig to a cancer patient who is undergoing treatment. Thank you to all our workplace giving supporters! If you would like any support from us in delivering, or introducing, your workplace giving program, please contact us at partnerships@cancerqld.org.au.